Pencils. HB for almost everything. You can get extra hard ones for clutch pencils - still HB but don't break on bits of sawn timber. Wot I like is - the same pencil can take you right through the job from first notes, full drawings, rod, last mark up, for a tiny fraction of a penny. I design with an axe myself, like the original good old boys (the ones after the pre-original good old boys who hadn't managed to invent axes yet). I used to use screwfix pencils but they stopped doing them a while ago - I stopped using them because of this in favour of Toolstation. I then was made to go to ikea, so stocked up on their pencils. I am getting to the end of my stash now so may have to actually buy some! best thing I did was get a pack of 100 HB from a discount store some time back. Spent half an hour sharpening them, and keep them in a pot by the bench. Never ran out of something to scribble with since ! every so often , I just go round collecting them up and put them back in the pot. Next best thing I did was get a few pencil sharpeners. I can now usually find one when I need one. I haven't sharpened a pencil with a knife for ages. I have lots of pencils...scattered all over the workshop! I am forever putting them down and losing them so this way there is always a pencil to hand. don't really give a hoot if they are hard or soft but the soft ones need sharpening more. 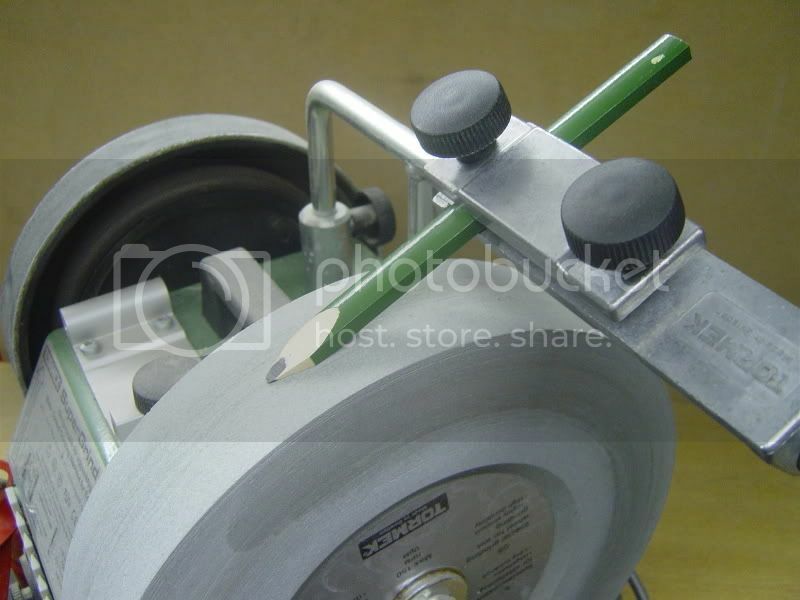 Does anyone know of a good sharpening stone for a pencil and do you think they are better hollow sharpened? 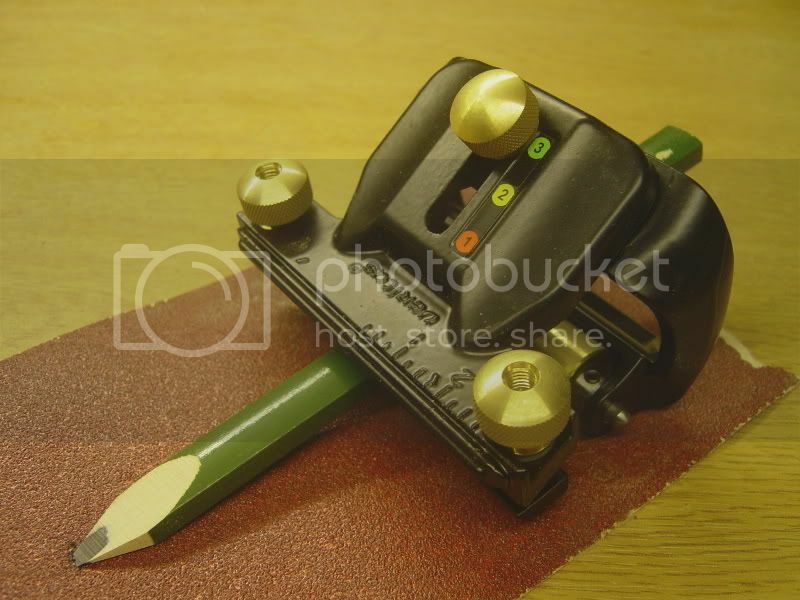 also on the subject of pencils does anyone know if there is a clip you can buy to attach them to glasses? Really? We badger the mods for a new design forum and this is what's posted. I didn't even notice we had one ! Anyone for a rounded bevel pencil?